By Jonathan Keane , April 27th, 2016. 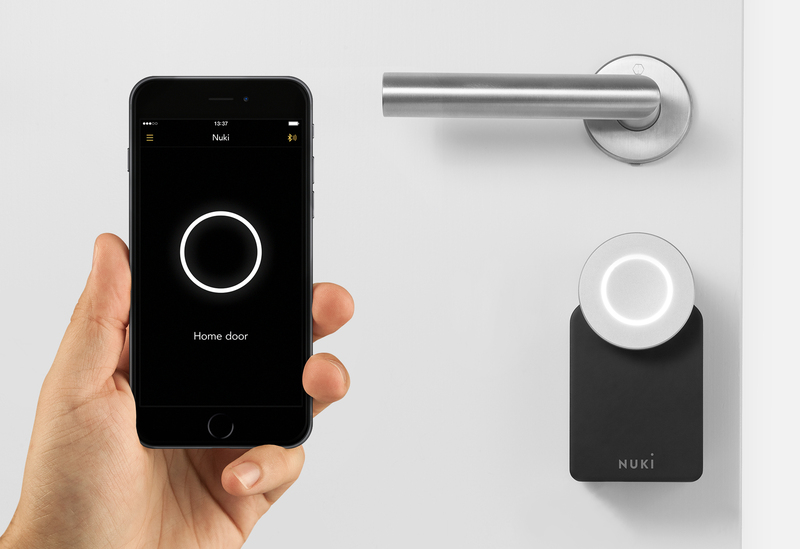 The Austrian startup behind the smart lock Nuki has raised a seed round of €2 million from Up To Eleven, Venta Group, Aquis Sanitär, and the double equity funding program from federal bank Austria AWS. The founders still hold a majority stake. The Graz-based startup initially funded its products through a Kickstarter campaign that raised more than €385,000 to develop its smart lock and key fob ring, which are operated through Android and iOS apps and Bluetooth or Wi-Fi. Venta Group, which usually invests in real estate, could provide the startup with links to the housing industry for distributing its lock. Aquis Sanitär, a plumbing equipment manufacturer, is also one of Nuki’s manufacturing partners. “The fact that Aquis Sanitär AG is on board as our industrial partner confirms the Nuki setup and gives us an ideal environment for the expected growth,” said Nuki CEO Martin Pansy. Nuki plans to delivery its products to customers in May and June following some delays. The company was originally known as Noki upon its launch but rebranded as Nuki following legal threats from Nokia over the similar name.